In the early hours of Sunday, January 16, 2000 near Margaree Harbour, Cape Breton Island, Nova Scotia..a man died. This was no ordinary man. His name was John Morris Rankin. John Morris was born to Kathleen "Kaye" and Alexander "Buddy" Rankin on April 28, 1959 in the tiny community of Mabou on the west coast of Cape Breton Island. From the moment he entered the world, John Morris was immersed in music. 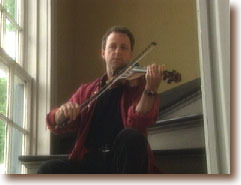 He grew up with the traditional fiddle and piano reels. John Morris could play almost any instrument he picked up. In 1989, he joined with his sisters Cookie, Raylene and Heather and brother Jimmy to form what would become the critically acclaimed and internationally known quintet, The Rankin Family. Before the group disbanded in late 1999, they had toured across the world, won numerous award and captured the hearts of many. They became a symbol of Canada, a tribute to her heritage and culture. When it was announced the group was calling it quits, John Morris, a devoted husband and loving father, said he was looking forward to spending more time with his family, and returning to his roots. For the precious few months he lead a normal life in the small town of Judique, Cape Breton. And now he is gone. His life taken when he lost control of his vehicle on an icy road. He died in a lonesome place, where the relentless waves of the ocean batter the rocky cliffs. His son, who was in the vehicle with him, did his best to save his father. But it was all in vain. There were 4 passengers in that vehicle, only one didn't make it. John Morris will be remember by fans as the quiet Rankin. His music will live forever.